Tag / What’s Wrong With My Vegetable Garden? I could not have gotten my hands on this book during a better time. 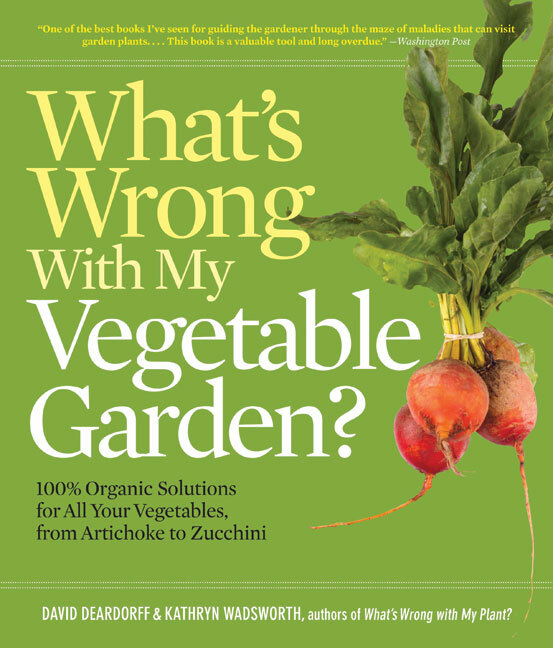 First of all I just LOVE that it provides organic solutions to common gardening problems. Now that I keep the bees, this is so incredibly important for their population to thrive in our yard. This book is very well laid out and organized. It begins with an overview of the all the necessary requirements to make a vegetable garden successful. Next, the vegetables are broken down into their own section, “Plant Portraits”. Here you can find photos, descriptions, growing requirements, planting techniques and problem solving suggestions unique to that particular vegetable. Then the book transitions to 70 pages or so dedicated to eradicating pests and disease from your garden. The book’s final section provides organic solutions to common problems including soil and watering requirements and crop rotation. My favorite part of the book is the photography. Numerous photos accompany every topic and plant throughout. Better than illustrations in my mind, these photos do speak volumes. I find this book to be a wonderful resource for myself and I know that I have already had to use it to find new organic ways to treat powdery mildew, aphids and beetles. Finally, Tilly’s Nest is proud to partner with Timber Press in their GPS Campaign. The GPS, or Garden Problems Solver, allows readers a chance to ask the experts their own gardening questions. With each question you ask, you will be entered to win a weekly prize as well as the grand prize-an iPad! Feel free to submit multiple questions: we know we all have them and the best part is you just might be “rewarded” for your question. Readers of Tilly’s Nest will get an added bonus. 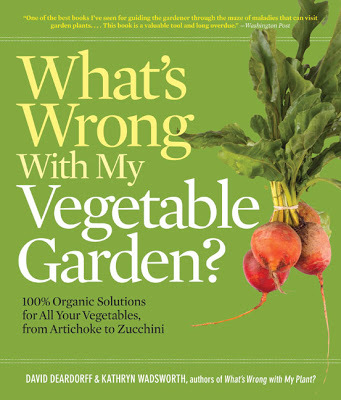 Enter below to win your very own copy of What’s Wrong With My Vegetable Garden? 1. Add Tilly’s Nest to the blogs you follow. 2. Visit the Timber Press website and take a look around, hey while there, enter the GPS contest if you like. 3. Return here, leave a comment with your name, email address and the title of one book that you would like to read from Timber Press. This item will ship to US addresses only. Contest ends 8.7.12 at 12 midnight EST. Disclosure: I was sent a complimentary copy of this book from Timber Press for review, however the opinions above are entirely my own.